A+R Screen Printing was founded in 1996 and out grew its premises in Moorabbin by 1999. In early 2000, an opportunity arose to purchase another screen printing business (Square One Graphics) and move to their larger premises, and both companies were merged together to become AusScreen. After a couple of years a larger premise was acquired at 14 Lamana Street, Mordialloc and we’re still here today. In 2012 we merged the business with our other screen printing business RD Screen printers effectively doubling the size of the company under one roof. Our larger premises and number of staff allows us to turnaround your print job with the utmost efficiency, and has allowed us to provide more in-house services such as Die and Guillotine Cutting, Film work and Graphic Design, as well as ‘bread-n-butter’ products like Corflute, Fridge Magnets, Stickers, Acrylics and Stationery. 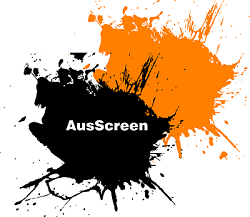 Aus-Screen success has been built through the hard work of all it’s employees, past and present, and all our loyal customers. It would not be what it is today without all of their efforts.